Levi wishes he had friends. Though he does have sort of a friend &#x2013; a robot that he meets from time to time and talks with. But his Aunt Peninah does not approve of him talking to this strange robot. But one day, Levi makes a new friend &#x2013; with a boy named Adi, who lives alone in a tree house in the midst of the forest by the side of town. Shortly afterwards, strange things start to happen in Levi&#x2019;s neighborhood: Ferocious machines called juggernauts arrive, causing pandemonium and destruction. And Levi subsequently discovers that there is more than one robot going around town &#x2013; there are many, and they are fighting against the juggernauts. Who is sending the robots? And who is sending the juggernauts? 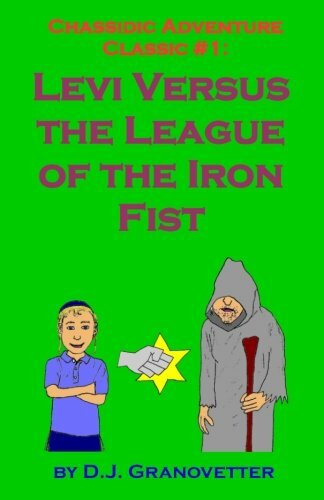 Levi and Adi attempt to investigate the matter together, with the help of international hero Sky Captain Avremelwitz, discovering that an evil cult known as the League of the Iron Fist may be behind the juggernaut attacks. Little does Levi realize that the League of the Iron Fist has more to do with him than he ever would imagine.